When ones thinks about cupcakes, the first thing that comes to mind is that they are a wonderful dessert. Now the trend is to change these from this use to a more savory offering. This has opened up a whole new world as to how cupcakes can be made and at what time of the meal they can be served at. If you don’t know how to begin making savory cupcakes, then its time to look at some of your casserole recipes. Basically, all you are going to do here is divide your casserole into cupcake sizes, bake them in a cupcake pan, and then they are ready to serve or freeze if you so desire. Depending on the type of casserole, you may want to get the reusable cupcake holders so you can serve the cupcake in this dish, as some of the ingredients may not allow for easy removal of them from the cupcake pan. Really the savory cupcakes are going to be left up to your imagination. 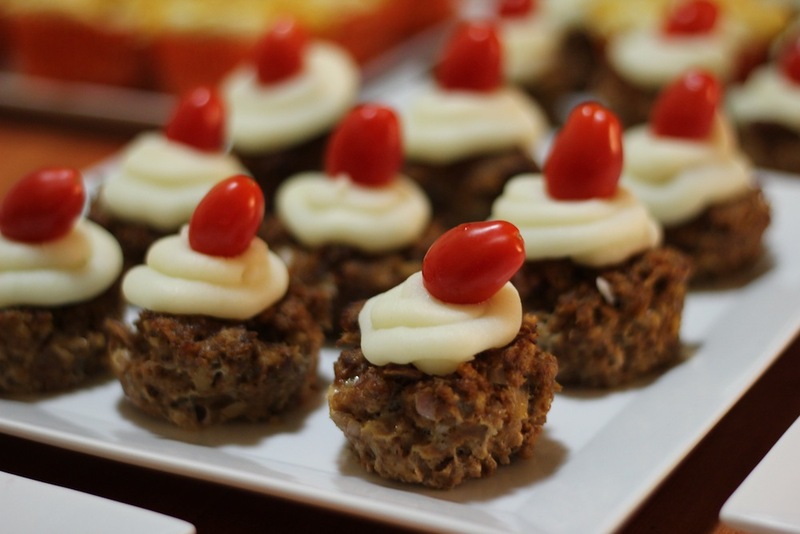 A favorite of many who are first starting out with this form of cooking is meatloaf cupcakes. This is because they will usually retain their shape once they are cooked in the cupcake holders and can be removed from these. Some like to try macaroni and cheese cupcakes. How well these will hold their shape will depend on your specific mac and cheese recipe. You can either use the reusable cupcake forms and serve in these, or try creating a crust to form around the macaroni and cheese. Here you would need to butter the inside of the cupcake holders then pat on a good layer of bread crumbs. It would have to be thick enough to hold its form when you go to remove them. It is much easier to just serve them in the holders.